Being able to move seamlessly through each step of the creative process is essential to coming up with original ideas. 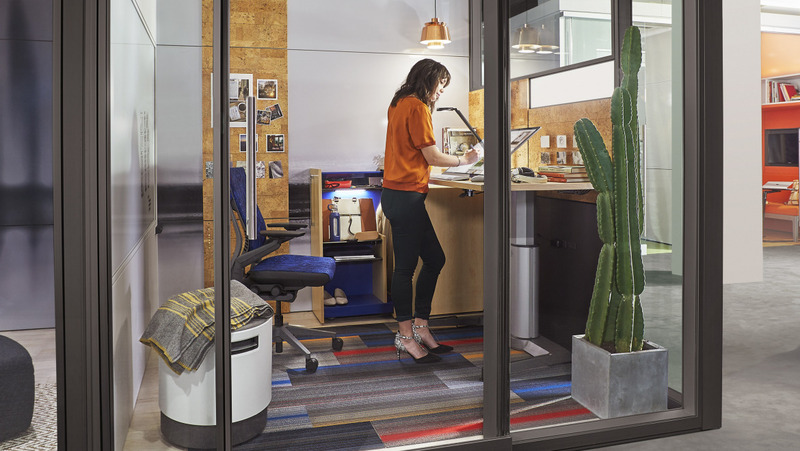 Microsoft and Steelcase are introducing all-new, immersive Creative Spaces that bring together technology and place to help people generate new ideas and move them forward. 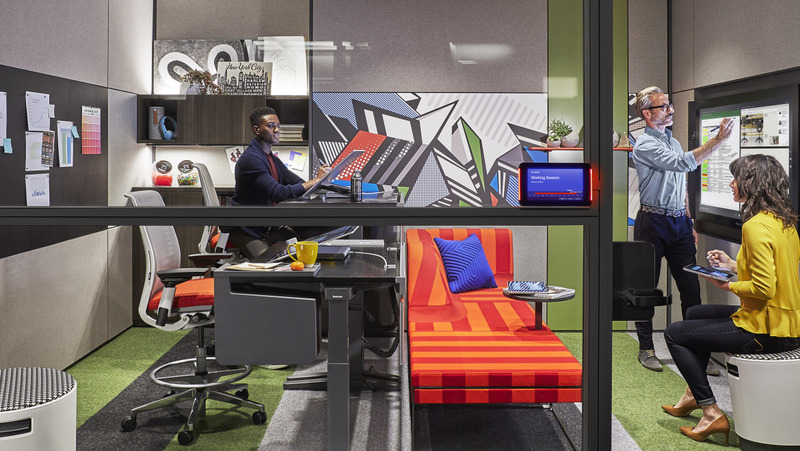 These creative space solutions allow your employees to be inspired without compromising performance. Individually tailored to specific employees and teams, these solutions might just be what you need for that spark of innovation. Sometimes you need peace and quiet to unleash your inner creativity. With these focus studios, it’s easy to spend some quality alone time and get work done. The best part is when you need some input or a space to collaborate, this focus studio quickly shifts to a two-person collaboration area. It’s the perfect place to incubate your ideas before sharing them with the whole team. The Duo Studio encourages active participation and equal opportunity to employees and teams who need to collaborate and co-create. It’s the perfect creative space for integrating high-tech equipment that makes the innovation process run smoothly. The Duo Studio is an ideal space to refine and share your ideas with the rest of your team. 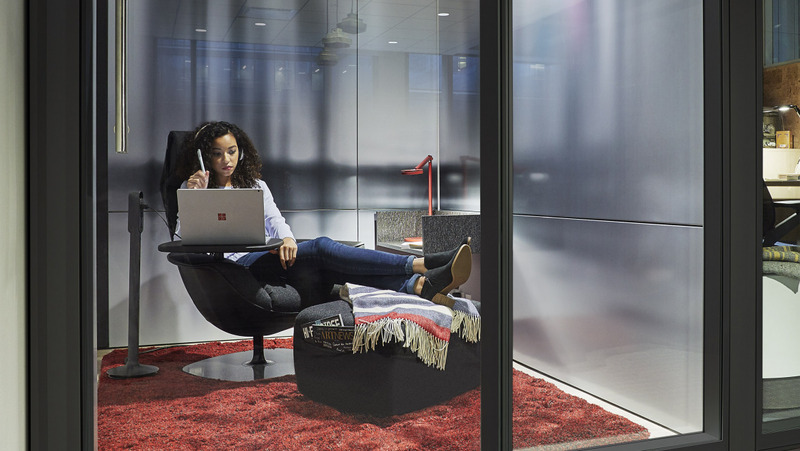 Equipped with walls meant to mitigate noise, ergonomic furniture, storage space, and the latest tools for communicating and brainstorming, collaboration has never been this comfortable. For those moments when teams need to come together, the more heads the better. 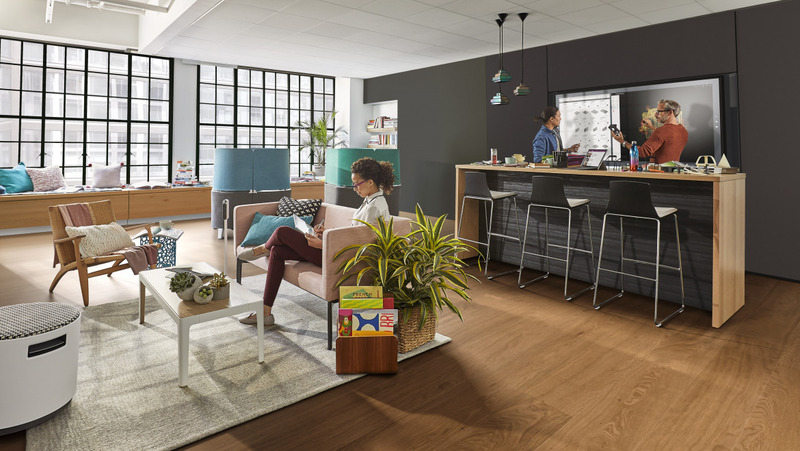 When collaboration times comes, your employees are going to need a creative space large enough to accommodate their team and their ideas. The Maker Commons is an innovative space that breeds creativity. It’s an ideal spot for socializing ideas and conducting rapid prototyping. With an open floor plan and central location, the Maker Commons is a space that encourages quick switching between conversation, experimentation, and concentration. Creative work requires many brain states, including the need to balance active group work with solitude and individual think time. The Respite Room is a creative space that allows you to take a breath and a mindful moment to yourself. After throwing around ideas all day, it’s easy to get overwhelmed. By allowing yourself time to process, you’d be surprised with what kinds of creative solutions you can come up with in the Respite Room. When it comes to searching for the perfect creative space for your employees, don’t limit yourself. The possibilities are endless with our innovative creative space solutions that can increase productivity and engage your employees. Let us know what gets your creative juices flowing in the comments below!